You will be able to download your product immediately after purchase in a PDF file. You can view and print this file through your computer. Click here to view instructions on ordering and downloading your product. Collecting Brag Badges is so much fun that quite often children in the family will see a badge they want to earn and they’ll run off looking for a family member that will help them earn badge they desire and they'll connect with a new cousin, aunt or uncle or be surprised by the accomplishments or interests of a favorite relative. 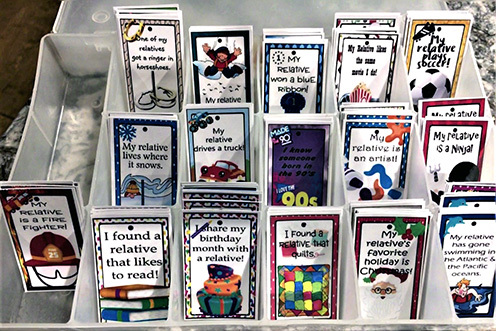 With Brag Badges, family members will have fun discovering their relatives that love ice cream, pizza and dancing. 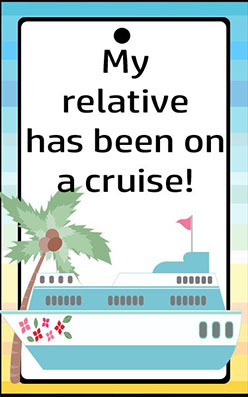 They’ll find relatives that drive trucks, teach school and relatives that have been to Hawaii. They’ll find relatives that are Eagle Scouts, Veterans and couples that have been married for 50 years. 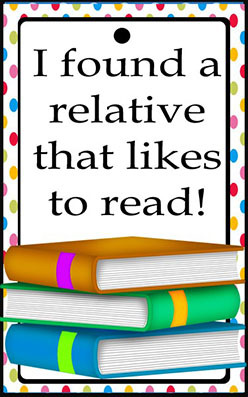 They'll discover relatives that share their same birth month, like to read, play baseball and so much more. 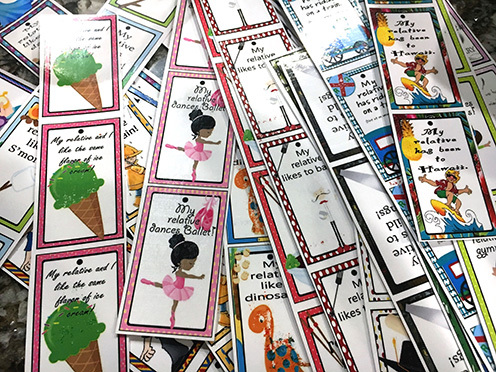 Brag Badges are a perfect way for your family to show off their interests, talents and achievements and are great way for family members to get to know each other! When I use Brag Badges at a family reunion, I require that badges are signed before they can be earned so that family members will always remember who the relative was that helped them earn the badge. 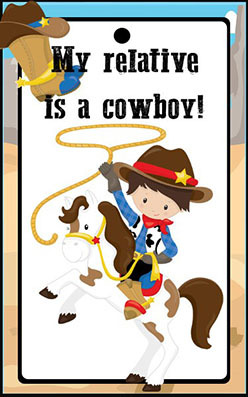 The graphics on these badges are so cute your family will love them! Over 60 different "Brag Badges" are included in this digital download- all in bright COLOR! There are 4 of each design but you can print as many copies as you need- depending on the size of your family. You don’t need one of each design for everyone in your family- it makes badges more valuable if the the number is limited. 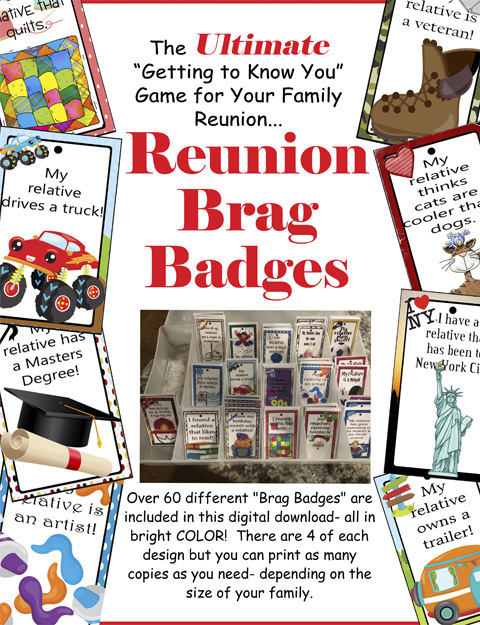 This fun family reunion resource includes over 60 brag badges in color and printer friendly version. This is a digital file, no physical product will be shipped. 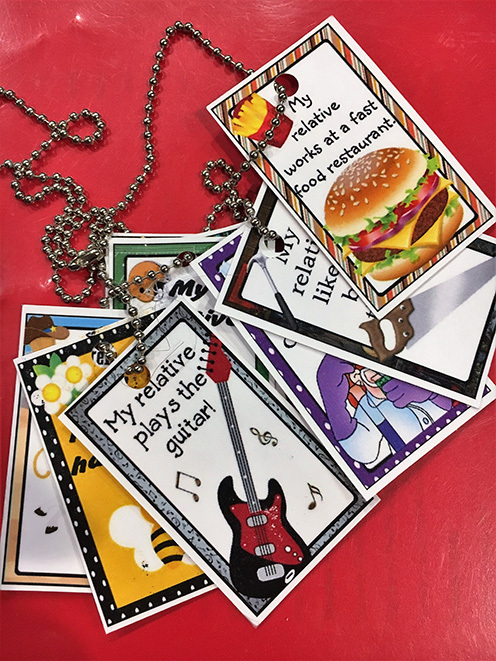 Brag Badges help family members connect in a way they will never forget. You can purchase a complete set of Brag Badges in the Family Reunion Helper Store.